In this master class with award-winning author Jennifer Clement, we discussed the challenges of writing about social issues, the role of research, why fiction writers should study poetry, how to fit writing into your day and much more. As the author of four novels, four collections of poetry and a memoir, Clement had many great tips to share, including how to balance writing with a demanding day job: she’s the president of PEN International, one of the world’s largest, most prestigious writers’ associations. 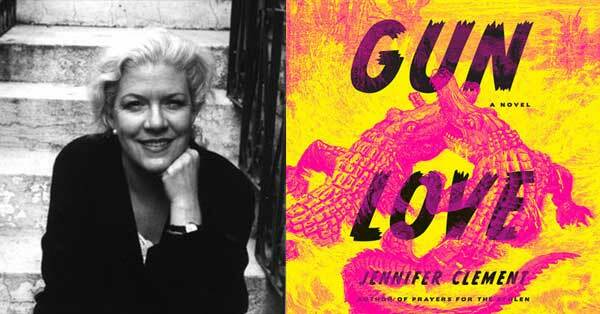 The class focused on her latest novel, Gun Love, which was named a New York Times Editor’s Choice book and made a number of top 10 lists for 2018, including Time Magazine‘s and the Library Journal’s. You can listen to a recording of the talk below or it is also available as a podcast from various services and from our own feed. A special thank you to the John Adams Institute and Clement’s Dutch publishers De Bezige Bij for helping bring her to Amsterdam. 0 responses on "Jennifer Clement Master Class Recording"